Formula Pro Advanced. 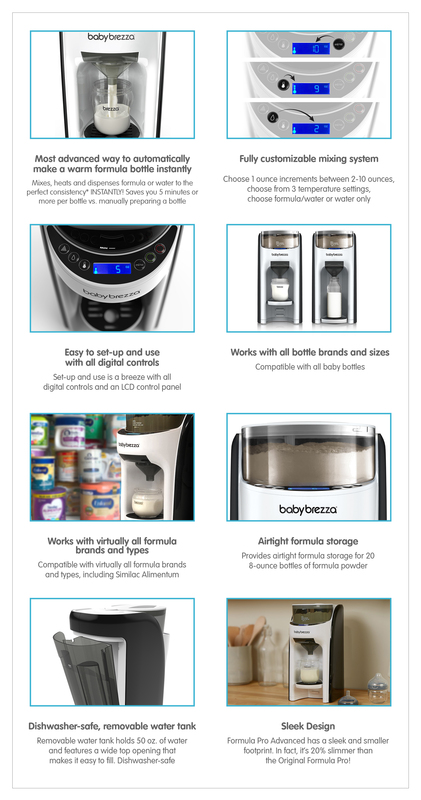 The most advanced way to automatically make a warm formula bottle instantly. With a fully customizable mixing system the Formula Pro Advanced is a breeze to set up and use with all digital controls and an LCD control panel. There are no manual adjustments. Just pick your settings and push the start button. 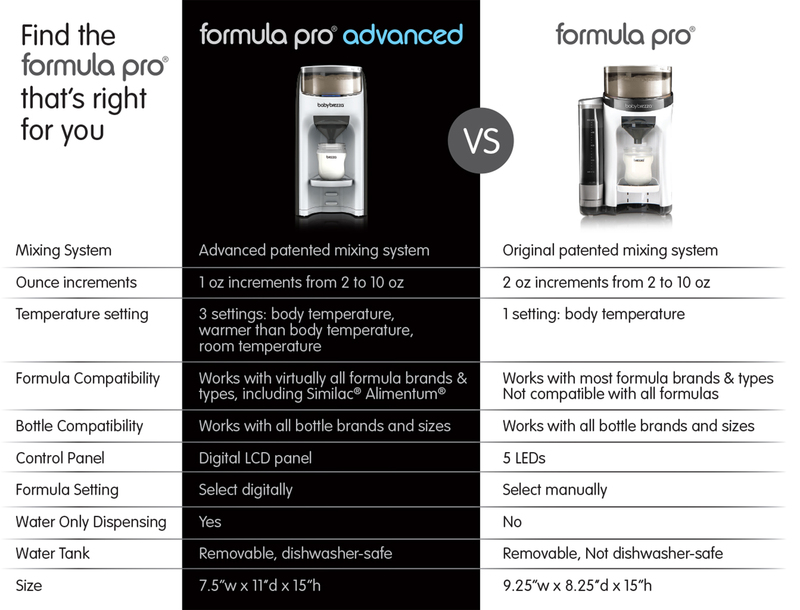 The Formula Pro Advanced features a smaller, sleek footprint, it's 20% slimmer than the original Formula Pro, and is compatible with all bottle brands and sizes, and virtually all formula brands and types. Next generation formula prep is here. Mixes, heats and dispenses formula or water to the perfect consistency INSTANTLY! Saves you 5 minutes or more per bottle vs. manually preparing a bottle. Works with virtually all formula brands and types (including Similac Alimentum). Airtight Formula Storage. Provides airtight formula storage for 20 8-ounce bottles of formula powder. Removable water tank holds 50 oz. of water and features a wide top opening that makes it easy to fill. Dishwasher-safe.